Chinese cars have a pretty woeful safety record. We’ve all seen footage on YouTube of European knock-offs with names you can’t pronounce folding up like wet cardboard when subjected to NCAP’s testing. While it’s true that China’s indigenous carmakers have been improving things, many still lag some way behind the standards expected in the West. 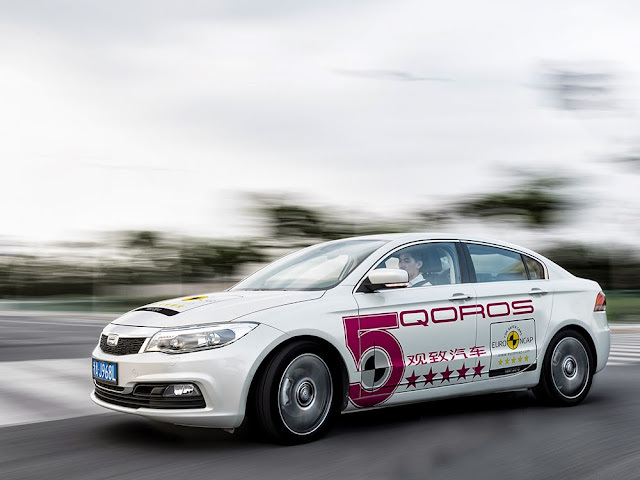 But it seems new player Qoros has moved the game on, becoming the first Chinese manufacturer to score EuroNCAP’s coveted five stars. Perhaps we shouldn’t be all that surprised. Much of Qoros’s management team used to work for the likes of Volkswagen and BMW, while it’s list of suppliers reads like a who’s who of industry standard setters. Still, it must have shocked a few boards that the Qoros 3 has achieved NCAP’s best score so far this year. This latest development just adds to the considerable promise that Qoros is showing. The 3 goes on sale sometime next year, aimed squarely at Volkswagen territory. It will be fascinating to see how it’s received. Bentley’s new Continental GT3 will make its racing debut in the Gulf 12 Hours in December. First seen as a concept car at the 2012 Paris Motor Show, it has been through around 3000km of testing so far. Powered by a 600bhp, 4.0-litre, turbocharged V8 engine, the car will be run by M-Sport in the race at the Yas Marina circuit in Abu Dhabi. 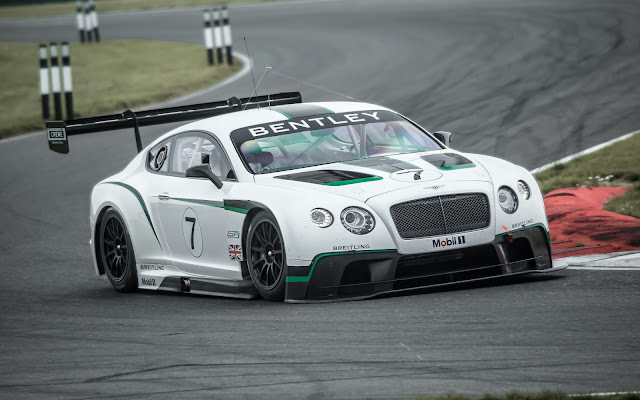 Though M-Sport is more often associated with Ford’s World Rally Championship program, the Cumbrian firm is Bentley’s official Technical Partner on the project. Apart from the styling (have you seen the size of the wing/splitter?) the most incredible thing about the Continental GT3 is its weight, given as under 1300kg. The standard V8 Coupe weighs 2295kg. That’s a whole ton more than the stripped-out racer. So you could argue that the Continental GT literally has a ton of luxury. A team of Continental GT3’s will run in next year’s Blancpain Endurance series. A Bentley factory team hasn’t raced since 2003, when the Speed 8 won the Le Mans 24 Hours. Young-driver experiences are nothing new. Most racing circuits in the UK run them, as do many manufacturers. But now Land Rover is offering 11-17 year olds the chance to drive off-road. It sounds like a terrifying prospect (and pity the poor instructors), but I thinks it’s extremely worthwhile. 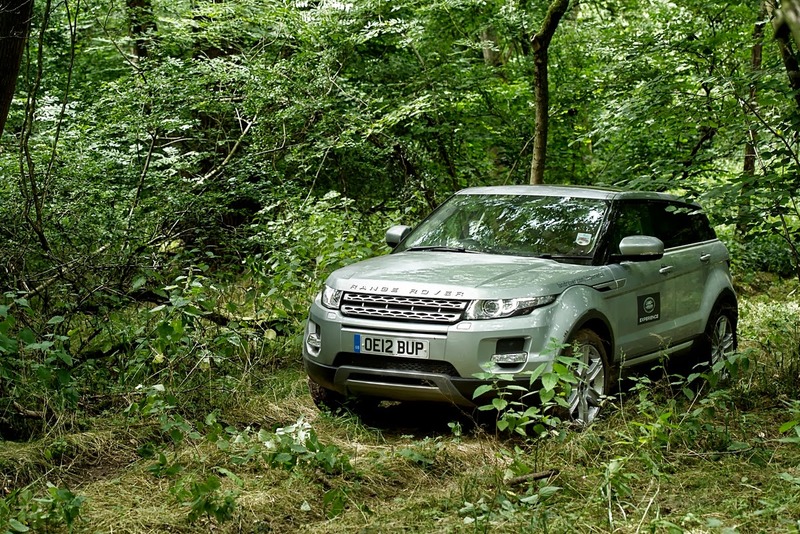 Off-roading is all about feel and control, vital skills that a scary amount of drivers don’t really have. Teaching kids those skills as early as possible can only be a good thing. 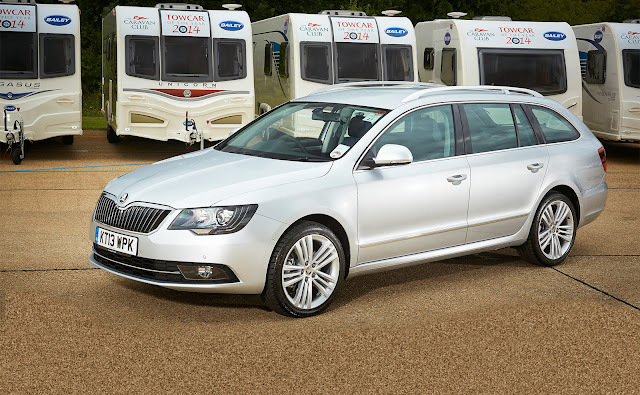 The recently-facelifted Skoda Superb estate is a very fine car: it’s hugely spacious, generously equipped and very good value. And apparently, it’s a decent tow car as well. The Superb - specifially the Superb Estate 2.0TDI CR 170 Elegance 4x4 DSG - has been named Caravan Club Towcar of the Year 2014. So now you can expect to see it at the head of every 35mph A-road crawl. Which seems a bit of a waste, somehow. Next year Renault will start building cars in Algeria, apparently Africa’s second biggest car market. 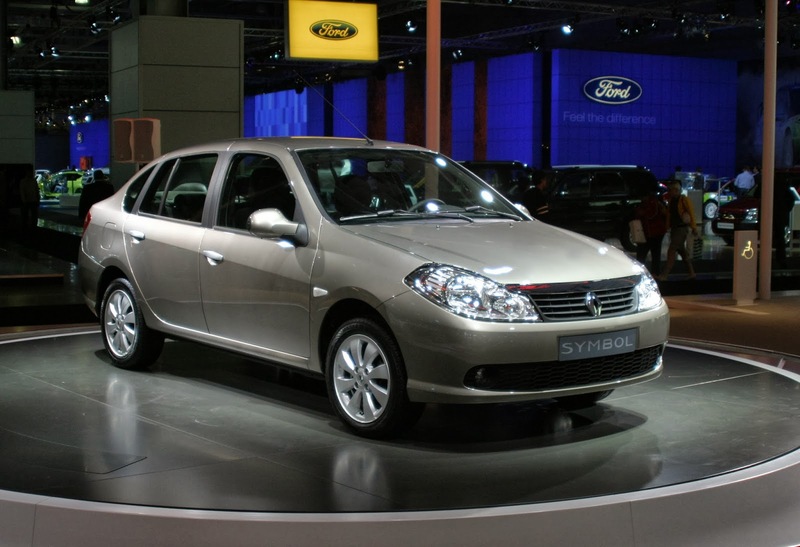 It will build the new Symbol saloon, a re-badged version of the second-generation Dacia Logan. I only point it out because it probably won’t be long before the taxi ranks at every airport in Eastern Europe, North Africa and South America are full of Symbols/Logans. So now you’ve got a rough idea what the first car you get in when you go on holiday will be. 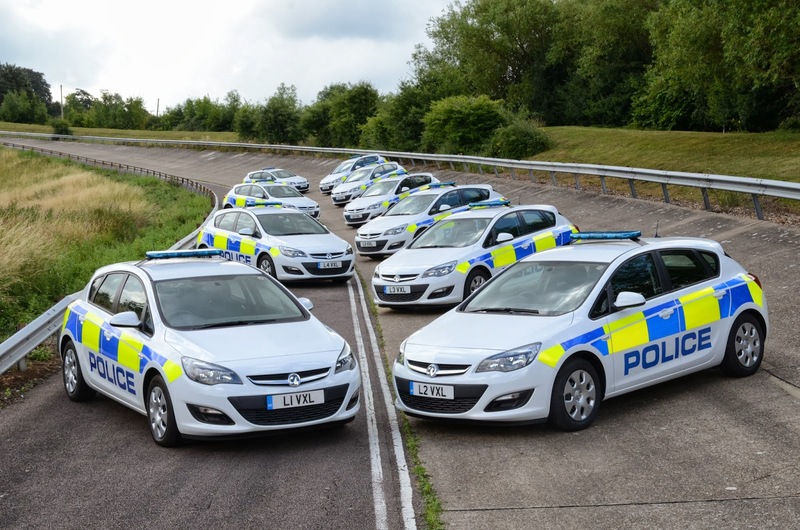 If you see a 63-plate police Astra in Hertfordshire, be very afraid. You see, it’s not just any police Astra, but one fitted with a 4G-enabled Panasonic tablet with Windows 8. Apparently this cuts officers’ workloads to the point that they can spend an extra two hours out on patrol. Though I can’t help but wonder if they’ll spend the time playing Candy Crush on that shiny new tablet. So your chances of evading the law have come down a bit. But it surely won’t be long before the cops find themselves surrounded by people trying to pick up a decent 4G signal.